The New IPCC Climate Change Report Was Giving Me Crippling Eco-Anxiety. Until I Actually Read It. True to their titles, the adjectives and phrases used in the first paragraphs of these articles were also inflammatory. A landmark report…paints a far more dire picture. Disastrous. Impossible. Collapse. Devastating. I saw the posts on social media. I glanced at the articles. I read summaries (not written by the IPCC). With each fear mongering author, my eco-anxiety increased exponentially. Ecological Anxiety is an experience that spurred the Ecopsychology movement, when clients began coming into therapists’ offices expressing fear and extreme worry about environmental degradation. Although the term was initially rare, chances are you’ve heard of it by now, and if not, I bet you’ve experienced it. It’s that absolute freak out you’ve been going through since the IPCC report came out. Anxiety and insomnia, characterized by worried, down-the-rabbit-hole thinking, where there is only one imagined future and it’s too bleak to bear. I found myself in a major eco-anxiety spiral this last week, including 3am fantasies of maybe buying property (that we can’t afford) in Washington for when our family, and everyone else in California, is forced to migrate due to wildfires and The New Dust Bowl. Given recent events, it didn’t feel that far fetched, but I still recognized that I was spinning out. Then i remembered my number one rule for clients when it comes to eco-anxiety: If your anxiety is fueled by the news, vet your information. In this case, since my anxiety was caused by a report, I needed to actually read the report. However, this is not new news. One of the reasons the report has created such a stir is because many people have not been paying attention to climate science. The other reason is because the journalists who write the alarmist articles are focusing on the timeline of needed action, but leaving out the rest of the report. The worst bit of this, is by using words like “impossible” or “too late” they are exhibiting a serious lack of imagination and innovation, while giving voice to their own eco-anxiety. We may as just throw in the towel and watch the world burn. Guess what? It’s easy to feel cowed and give up. Rising to the challenge may be intimidating, but it also holds promise and reward. The report is an opportunity that giving up would waste. The amount of CO2 in the atmosphere from human causes has created a global mean temperature rise between .8 and 1.2 degrees Celsius higher than pre-industrial levels. This average 1 degree rise is what is causing the super storms and drought that we are currently experiencing, and these events will increase, as will sea level rise. This is a done deal. This rise in average temperature is expected to reach 1.5 degrees Celsius between 2030 and 2052. However, if we can keep the rise in average temp from getting to 2 degrees Celsius, humans, animals, plants and whole ecosystems may be able to adapt. If we don’t stop this temperature rise, our ability to adapt and survive will be severely curtailed. If we continue at the same current rate of CO2 consumption, the temp will go up to 3 degrees Celsius. At 3 degrees we are probably looking at extinction. WHEW! Ok, that bit was hard to swallow. But here’s the surprising bit - the rest of the report is hopeful and inspiring. Read on. Where does the 12 year limit come from? In order to keep the temperature at 1.5 degrees, we need to globally begin carbon drawdown by 2020, reaching net-zero ideally by 2045 at the earliest and 2055 at the latest. (For our purposes, I’m choosing 2050). By 2030, our carbon emissions need to be 45% less than they are now - that’s where 12 years comes from. Net-zero means that whatever CO2 we emit, we also have to capture, so the emissions stay at zero. It’s not impossible. It’s unprecedented…but only in scope. We are not lacking the technology, the resources, or the knowledge - but only the intention and the will. When America entered WWII in December of 1941, our country was crippled by the Great Depression, and still recovering from WWI. Through intent and will, by 1944 we were leading in arms production, and the whole nation had pulled together to make it happen. “Don’t you know there’s a war on?” was a common refrain. Well folks…Don’t you know about Climate Change? Even before WWII, we had already seen the industrial revolution. In 50 years, mechanization and electrification had spanned the country - and we are far more technologically advanced now. Change does not have to be laborious and slow -we just have to want it, and not all of us have to want it all at once. We can start taking the necessary steps now, and as the 1.5 degree increase does the damage it already promises, more people (and nations) will jump on the bandwagon. I’m so glad you asked! Here are 4 solutions I deduced, based on the IPCC recommendations. Tell your congressional representatives that you demand policy for Net Zero by 2050. Bring Climate Change to the forefront - they will care if they know you do. Insist on candidates who prioritize it. For instance, New York representative-elect Alexandria Ocasio-Cortez is bringing forward her demands for a “Green New Deal”- a plan to transition the US towards a carbon neutral economy. Regardless of which political party you align with, Climate Change is a non-partisan issue and an equal opportunity destroyer. Vote as if all life depended on it. Along with the goal of net zero by 2050, it is imperative that we focus on Carbon Dioxide Removal (CDR) from the atmosphere. There are many options for this, but these options are in different stages of development and research. Right now, the most developed and studied (proven to work) are Afforestation (turning barren land into forest), Reforestation (replanting timber lots and burned areas), land restoration and Bio-energy with Carbon Capture and Storage (BECCS). Other promising solutions include Biochar, Enhanced Weathering and soil carbon sequestraiton. A focus on CDR can be achieved by either doing it ourselves (like through planting trees), supporting organizations that are doing it (working with a local or national organization that needs volunteers for reforestation efforts), investing in companies developing CDR and again - supporting candidates who put CDR on their agenda. Support social justice and equality by investing in sustainable solutions for developing countries and at-risk communities. Food and water security through sustainable agriculture and permaculture, restoring ecosystems (like Bayview / Hunters Point in SF) to create healthy habitat for people and animals, and supporting the education of girls and women worldwide so they can live vibrant, healthy lives, which includes being able to make informed choices about reproduction. All those things (or that one thing) that you are doing to live a greener lifestyle? Keep doing them. They really do count. However, I caution against putting the onus of saving the world from climate change on your own shoulders. It will only increase your eco-anxiety, make you exhausted and drive you to distraction. It’s also impossible. So the very best, the most important thing you can do? Talk to each other. In person. Especially your neighbors. Especially your neighbors that you don’t agree with. Find a way to connect with that relative with different political views - and do it by not talking about politics. What makes your neighbor happy? What’s something you and your relative both have in common? Find out. Because we’re all in this together. And there’s no time to lose. Trauma warning for those impacted by wildfire. The following content may be emotionally stirring and potentially triggering. Last October, our family (like everyone else in Sonoma County) woke to a sky black with smoke, a horizon on fire and the ashes of our community’s lives floating to the earth like fallen angels. During the night, the Wine Country wildfires had moved across the landscape like the return of a mythological being, unpredictable and energized. In the weeks that followed, we became Sonoma Strong. Yet a year later, we are still hurting and for many, the full impact of loss, anger and grief is only setting in now. Since that grey dawn, I have worked with fire victims pro-bono, sometimes offering coaching and problem solving for wading through the stress of a re-build, normalizing feelings of guilt and grief as the trauma is processed and most frequently offering empathic understanding for the loss of what was dear - neighbors, houses, trees and animal companions. Our local chapter of CAMFT has been intricately involved with the Wildfire Mental Health Collaborative and My Sonoma Strong, offering groups, yoga, meditation, forest bathing and individual therapy throughout the county. What we have all observed, is that the number of people seeking help trickled in at the beginning, and then at the 6 month mark there was a big uptick. As the rest of the world moved on, Sonoma County residents found they were still living in the ashes. Surveys found that after Hurricane Katrina hit the Gulf coast in 2005, one in six survivors met the criteria for PTSD, while half developed an anxiety or mood disorder. Suicide and suicidal thinking doubled in the storm’s aftermath. When disasters from Climate Change hit the same area more than once (such as in Lake County, CA, which has seen eight fires in seven years), residents can find themselves in a case of double jeopardy. Combine this with already present life strains - economic hardship, racism and oppression or co-occuring mental health issues, and one begins to wonder if there is any way through. A California bay laurel tree in Sugarloaf Ridge State Park. Burned all the way through, this tree still leafed out in the spring. A beautiful metaphor for resiliency. This tree is also supported by the other trees around it, through the mycorrhizal web underground that passes nutrients from root to root….also a great metaphor for the importance of community in healing after disaster. Personally, I have felt the strain as wildfires in California coincide with ecological grief — a state of chronic sorrow that ebbs and flows in the face of environmental destruction. It becomes what philosopher Glenn Albrecht calls Solistalgia - feeling homesick and bereft while witnessing ecological collapse in the place where one lives and/or feels deeply bonded. On July 23rd, when I heard news of the Carr Fire in my hometown of Redding, I watched video of the flames licking the shores of Whiskeytown Lake and thought of the grey fox kit I once rescued along the road there; how he mewed in gratitude after I offered him a cap-full of water, both of us overheating on the asphalt. After the initial shock from the news, I felt… nothing. Or rather, I felt a numbness that slowly thawed into depression and heightened emotional sensitivity. I felt hopeless, a feeling which permeated into my experience of the Kavanaugh news cycle. 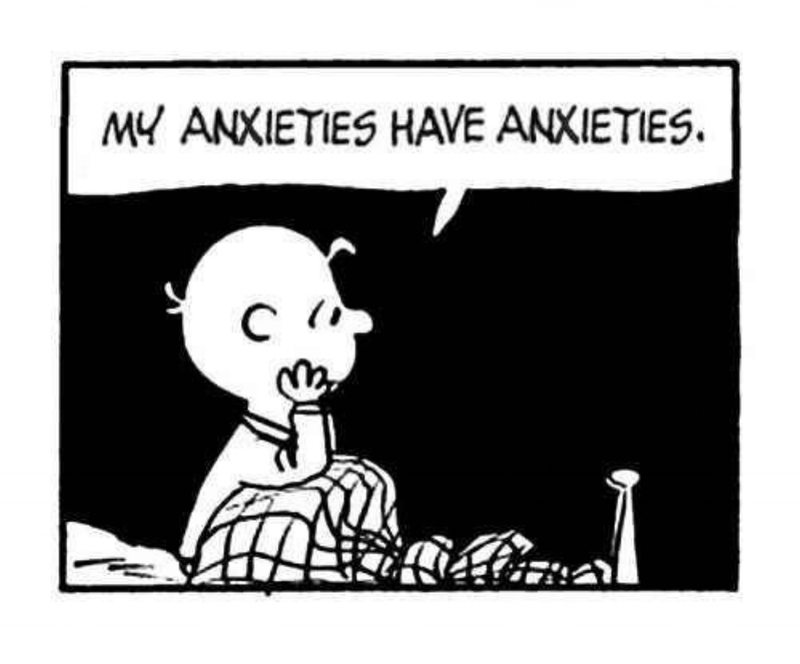 My anxiety also increased, along with difficulty sleeping. I talk about the importance of resilience in the face of climate change and environmental catastrophe like it’s my job - because it is. Ecopsychology is not only about reconnecting the human animal to nature, it is also about how the human community can meet the upheaval caused by climate instability. As a psychotherapist, and as a citizen, I understand that one of the most effective and radical steps we can take towards this resiliency is to meet ourselves right where we’re at. Most of the time, this means acknowledging our feelings of despair, grief and anxiety and allowing for them. It sounds too simple - that can’t really be the answer, can it? Isn’t there some life hack, power of intention, new research or fancy technique to employ? You can certainly try any number of things, but time and again, what I have discovered both as a clinician, and as a sensitive hearted soul, is that feeling our feelings the key to true healing. New growth coming up from the root crown of a badly burned madrone, Bald Mountain, Sugarloaf Ridge State Park. I am not suggesting that we live a life preoccupied with sorrow. I am saying that our refusal to welcome the sorrows that come to us, our inability to move through these experiences with true presence and conscious awareness, condemns us to a life shadowed by grief. Welcoming everything that comes to us is a challenge. This is the secret to being fully alive. As Weller says, welcoming everything isn’t easy. For many people, despite our intellectual understanding that tears are cleansing, even crying is difficult and resisted. But there is a way to ride the waves of emotional experience so that they are profoundly healing rather than debilitating. Called grief work, it combines mindful and somatic (body based) awareness, often coupled with witnessing by a therapist, or in community in a ritual setting. Writing, artwork, dance and singing can also be incorporated so that the heart can truly express itself. What we then discover on the other side is that grief holds a gift for us in its hands - an increased capacity to love, to give and receive compassion and to respond with resilience to the stress of our times. Our culture rewards emotional repression and the appearance of being “strong” and taking action. But when we jump to “doing something” and push away our grief, we not only abandon our own hearts, we also set ourselves up for burn-out and anxiety. Again, what I have found for both myself and others, is that grief work is renewing, and my best and most inspired activism has come from that wellspring. I also definitely advocate for getting involved with local causes (relief efforts, ecological restoration, marches, fundraising etc.) because a sense of “making a difference” is important. It’s a crucial next step towards resilience… after we have allowed grief to transmute our pain. A fairy lantern, blooming in the ashes at Sugarloaf Ridge. If you are in need of mental health support, or are interested in learning more about coping in the New Abnormal, I invite you to explore the resources listed below. If you are interested in doing grief work, I am available, and you can also ask potential therapists if they specialize in grief work and/or have experience with somatic psychotherapy, mindfulness and/or trauma recovery. In my ecopsychology practice, one of the ways I talk about working with eco-anxiety or earth grief is through resourcing. We can resource in many ways, through focusing on our breath and letting its rhythm rock us back into a place of calm stasis, by making contact with a true friend and being witnessed in our pain and joy. But one way, my favorite way, is Resourcing with Nature. Not "in" or "from", but with. Sometimes we find ourselves in a mental spin-out when it comes to relationship problems, creative blocks, work issues or inner critic attacks. At other times it may be our political system, violence against BIPOC, or LGBTQIA rights. Then there's anxiety or grief about Climate Change and our ecological crisis, which is literally a grounded experience, co-arising from both the earth and your own heart. Our reaction to these strong feelings can make the whole thing a very heady experience. Most of us, being unequipped to deal with what may feel like an emotional tsunami, retreat into the defense of thinking. And it can quickly escalate into what I affectionately call hamster wheeling. Circling, frantic thought patterns that tend to bite back upon themselves like an ouroboros. The heart grows heavier, the mind grows more anxious and we begin to frantically search for an answer or fix. That's when I want you to remember to Take It Outside. Your first order of business when your feet hit the path is to slow down. Slow your pace and slow your breath. As you walk, notice what information is coming in from your five senses. What do you hear? What are your eyes drawn too? What do you smell? How does the ground feel under your feet, how does the mossy tree trunk feel under your fingertips? If you see a wild edible, how does it taste? Remark upon these things to yourself, continuing to let your breath support you, noticing the earth under your feet. You will begin to notice that nature is in conversation with you. Even if this doesn't translate into actually hearing the voice of the earth, even if your mind is still squawking away like that crow over there, even if you feel encased inside your own troubles, your animal body is re-engaging with its natural state. Keep going slow, keep breathing, keep touching. And if you are still seeking answers, then you are surrounded by allies that invite you to go within. There is a way to let go of needing to know, a way to enliven your creative capacity, a key to the imaginal realm. It all starts with picking up a rock. Find a rock. One that calls to you, or that you feel drawn to. Take note of where you find it, because you'll be returning it home when you're done. Holding it in your hand, think of a question, as simple as you can make it, about what troubles you. Avoid yes or no questions, instead asking for insight, guidance or illumination. Pick a side and gaze at it softly. Bring your awareness to your breath, to the sensation of the rock in your hand. Notice the colors, heft, temperature of your rock. Look at the shape and contours, and any markings on the surface. Have you ever found faces in the clouds? In the same way, let your gaze relax as you muse. What do you notice? You may notice many things, but keep it simple. Pick out one thing, the one that has the strongest emotional charge. If you don't feel anything but curiosity or a slight blip of amusement, that can work too. Return to your question. How might this image pertain to what you are asking? There is no right or wrong answer here. This is not a test to see if you are a shaman with SSMCP. This is an invitation to let your own inner knowing arise. I don't have inner knowing you wail. Well, I'm sorry, you're just going to have to trust me on this one. You do. This is a rock I recently divined with. What do you see? Interestingly, both my daughter and I found the same thing first, but my husband couldn't see it at all. Take note of what you have discovered and seen. Take a picture of your rock if you wish. Spend a moment to give thanks, to your rock, to yourself, to the place where you are sitting/standing. These things have a way of working their way through our subconscious, even if on the surface we "can't figure it out" or "don't know what it means". The more we can avoid over-thinking it, the more we will stay out of our own way. The simple act of getting outside, into the fresh air, sunshine or rain, helps to rewire our psyche. The bipedal action of your legs moving is a bilateral stimulation that goes a long way to releasing blocked emotions and pent up anxiety. When you engage in divination with a rock, you are "thinking out side of the box". It is an invitation to your right brain, your imagination, to show up and get on board to help problem solve. Your body has knowing and wisdom, muscle memory, and it can jump to life when it comes into contact with life...micro-organisms, plants, wind, bird song. When it comes to eco anxiety and earth grief, taking it outside is the most important thing you can do to support yourself. It will return you to joy, to the whole reason it all matters to you in the first place. Because you love this life, this world, this earth. This is re-membering, all parts of the self coming into alignment and wholeness. Plus, you just had a conversation with a rock. I dare you to not feel just a little bit magical. Ever done this before? See something in the photos of rocks above? Leaping out of your seat right now to go try it? I'd love to hear about your experience.